Wednesday sees the start of the 2014 Commonwealth Games, the third largest multi-sport event after the Olympics and the Asian Games. The Commonwealth Games has been running every 4 years since 1930 and has so far been held in 18 cities around the world. 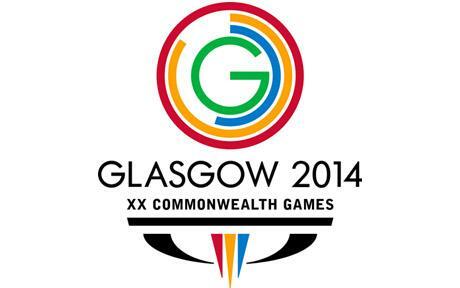 This years Commonwealth Games is being held in Glasgow. Around 71 teams compete in the games with Australia being the most successful team in 12 of the games. The games feature the usual Olympic sports as well as those that are generally only played in Commonwealth nations such as cricket, rugby, netball or lawn bowls. Uniquely in athletic competitions, it sees the United Kingdom competing as individual home nations and so pits English, Scottish, Welsh, Northern Irish teams against each other and the rest of the Commonwealth. The origins of the games go back to the 19th Century when people began to want the different nations in the British Empire to meet and enjoy the differing cultures. Now nations compete from across the globe from tiny Pacific islands to vast nations like Canada and India. The Commonwealth contains over 2 billion people and is one of the more obvious works of the Commonwealth. Whilst some nations temporarily leave or are expelled due to political reasons, any nation who was formerly in the empire is eligible to request joining should they meet certain criteria for good governance. South Sudan was the latest country hoping to enter the games but they are thought not to be competing this time. Whilst at the 2012 Olympics, Team GB topped the medal table per head of population, in the Commonwealth Games there is a surprising leading nation. It is in fact the tiny island of Nauru which measures only 8 sq miles which is 8 times smaller than the city of Glasgow itself. Since 1990, Nauru with just 10,000 inhabitants have won 28 medals, including 10 gold! Most of their success can be attributed to the fact that their stocky body build makes them perfect for weight-lifting leaving the next most successful team for their population, Samoa, being 45 times less successful. Marcus Stephen who started the fantastic run of Nauru sporting success in The Commonwealth Games later went on to become an elected MP and then President of the tiny island. With the Scottish Referendum looming, there will be no doubt some intense sporting rivalry between England and Scotland in particular but whether Scottish First Minister Alex Salmond might follow the Nauru star in a bid to improve his chances of winning independence is doubtful though given his stocky build maybe he could give weight-lifting a try too. This entry was posted in Cool Britannia, Life and tagged Athletics, Commonwealth Games 2014, Culture, Glasgow, Life, Marcus Stephen, Nauru, Scotland, Sport. Bookmark the permalink. Medals per unit of population! Interesting statistic. I know who brings up the rear. If it is India, why do you think that is Ankur? The country is so passionate about cricket but the country doesn’t seem to produce a good football team or be a top country in many other sports. Such an interesting blog! I have never really followed the Commonwealth Games but am tempted to watch now! You should give it a try, there are lots of Canadians competing and the first games were held in Canada! I am just about to watch the opening ceremony. I’ve actually never heard of these games? Where have I been? I don’t watch TV so that could be one problem, Stephen. They sound like they’d be fun to watch. Go England! I’m not sure. The baton relay has been on a 120,000 mile trip round the world. It’s on for the next 15 days so maybe you will get to see some. England need a bit of sporting success, it’s been a bad summer of sport so far!